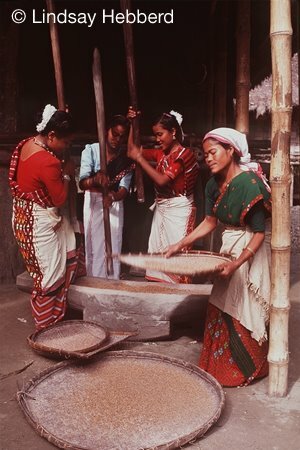 The Tani languages basically belongs to Sino-Tibetan ethnologue of Tibet-Burman branch that were formerly known under the name of North Assam linguistic family.However,recent research findings have admitted that these languages comes under the fold of Tani language,not North Assam as used in earlier linguistic literatures.The Tani languages includes Adi,Mising,Tagin,Nyishi,Apa,Galo ,and Hill Miri dialects of different subgroups which are spoken in the states of Assam and Arunachal Pradesh in India.A little number of speakers belonging to Bokar Lhoba/Luoba tribe are there in Tibet(China) scattered in Luoyu,Medog counties of Nyingchi Prefecture. 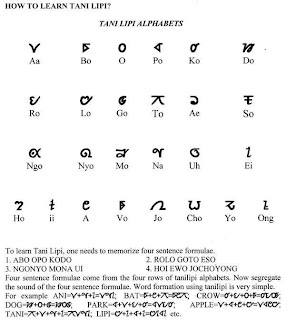 The estimated speakers of Tani language might crossed one and half million mark.However,there was no written script of any of Tani dialects which necessitated for having an own script.The Tani script was devised by Tony Koyu of Arunachal Pradesh.It was subsequently introduced in the legislative assembly in 2007 in Arunachal Pradesh .However,it didn't see the dawn till date.The Tani tribes at present uses Roman script in their day to day writings. 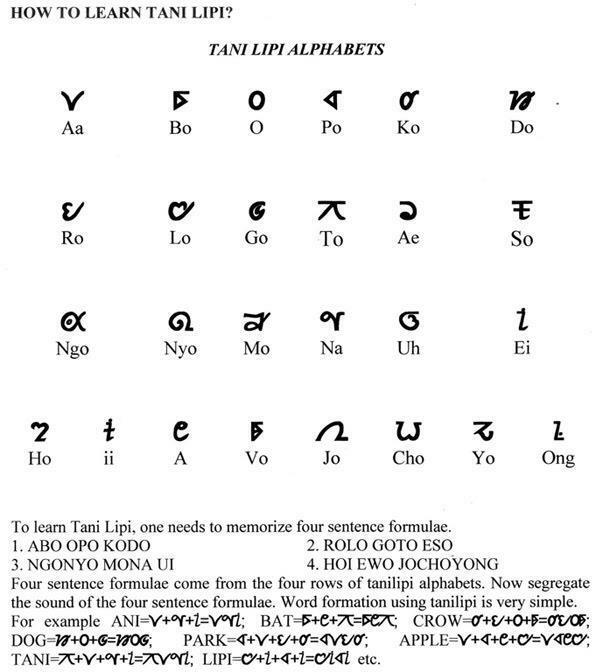 The Tani languages have great deal of similarities and does have the potential of becoming a lingua franca among the inhabitants of northern bank of Brahmaputra river and Arunachal Pradesh if concerted efforts are materialized from Tani people themselves besides enriching the literature to save from decaying and distortions.The Tani language,if systematic approach towards making a common language is done,it could also be used as medium of expression in trade and commercial activities across border if ties between India and China are improved in the near future.